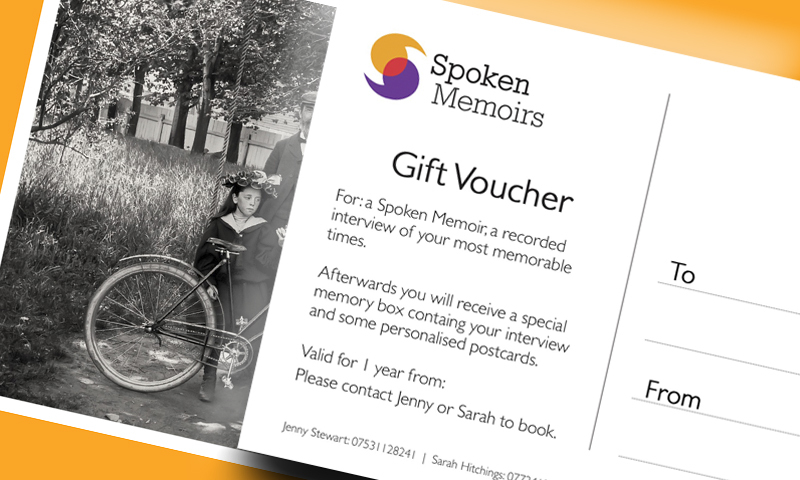 To celebrate our new branding and website we are offering a 10% discount on any Spoken Memoir booked during the month of December. If you would like to give this as a gift, the offer is also valid on our vouchers which are valid for a whole year from purchase. We have three designs to choose from.